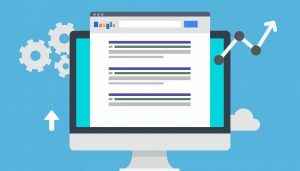 One of the first things that most people become aware of when it comes to site building, is the need for search engine optimization. Web designers have to be aware of this when they are carrying out their tasks building a site. One of the important aspects about SEO is that it involves turning the site into a user friendly experience. One thing that does this is a site that loads each page quickly. Visitors don’t want to wait while content is loading. A slow speed can create a high bounce rate, which means the search engines may not give it a good index in their listings. Most people now use some type of device to access the web. Sites that do not present well on the mobiles are not properly optimized. This has now become part of search engine optimization. Web designers commonly add a lot of images to the sites they are building. Some do not pay enough attention to properly naming the images. Images will get indexed too. If they are search engine optimized they can bring extra traffic to the website. There is some controversy as to the placement of important text. It is because the major search engines don’t give away all their secrets. Generally speaking it is believed that the best SEO practice is to place the important text above the fold. Flash at one time was the big thing. Now many are realizing it doesn’t work well for SEO. That is because flash is in rich text format. The better format is HTML5. Web designers can play an important role in the search engine optimization of a website. Those that do pay attention to this find the site is more successful.